I had an ATC Swap this past weekend with the theme- use Deli paper. 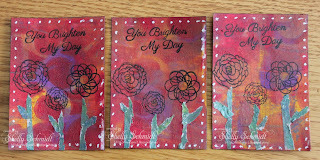 I experimented a bit using the Gelli plate and Sweet Stamps stencils. I made prints on cardstock and the Gelli Paper using Acrylic Paints. I used the Delli paper as Faux Washi and as the die cut on the butterfly on the 1st two sets, and on the flower stems for the third set. 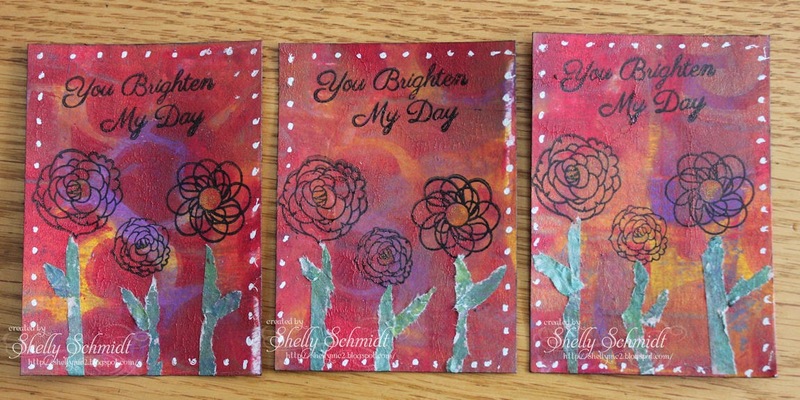 Wonderful ATCs and love the way you incorporated the stencils in your designs.